Darling Kachina Village residence on a great lot! You'll find this 2 bedroom, 2 bath, 1,144 sq. ft. home tucked into a cul-de-sac. 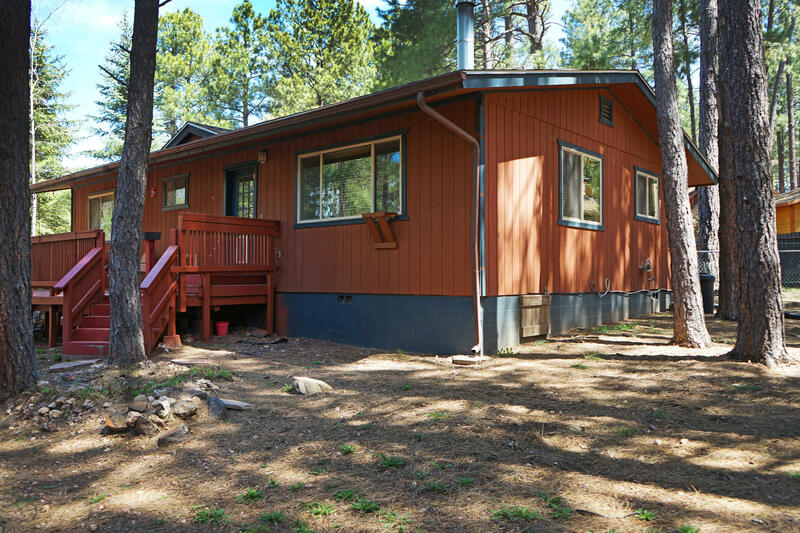 Situated on a heavily treed lot (almost a 1/4 acre landscaped with mature pines/aspens). This cabin style home features an eat-in kitchen, breakfast bar, granite counters, fresh stone back splash and both bathrooms have beautiful large tiled showers with upgraded vanities. Enjoy a wood burning stove and modern feature wall in living room. Welcoming paver sitting area out front for your morning coffee break. Also a large shed with roll up door for your toys that can be relocated for convenience.